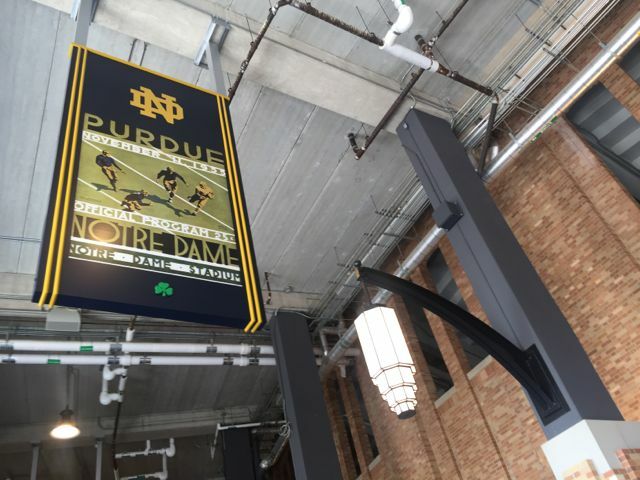 How do you bring new technology into a building and institution that embraces history as an integral part of its brand? 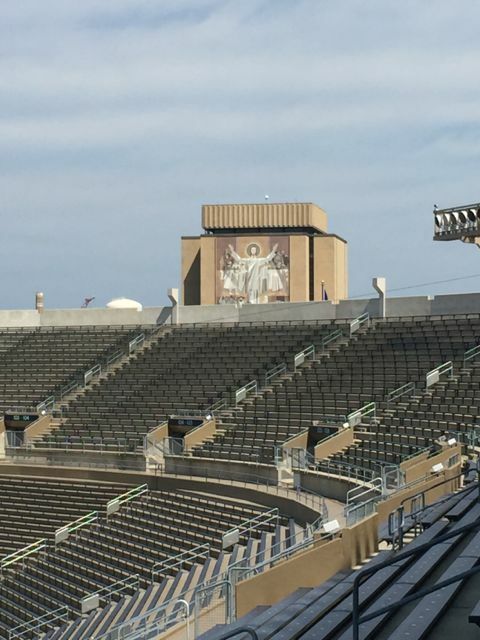 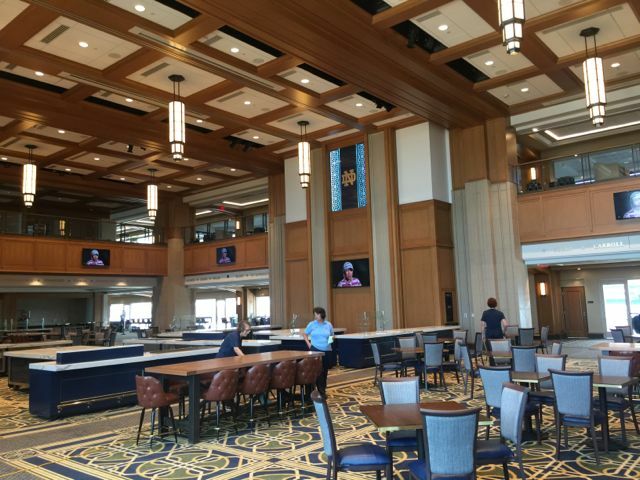 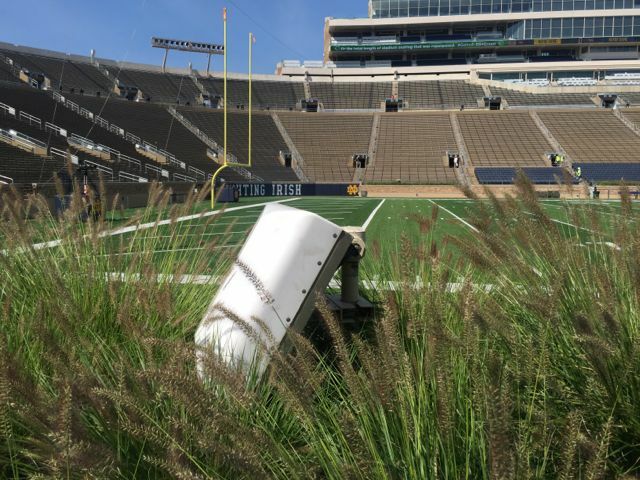 There may be many answers but in the sports stadium world, Notre Dame’s renovation of its hallowed football field and the addition of high-speed Wi-Fi look like a good example for any other venues trying to solve the same issues. 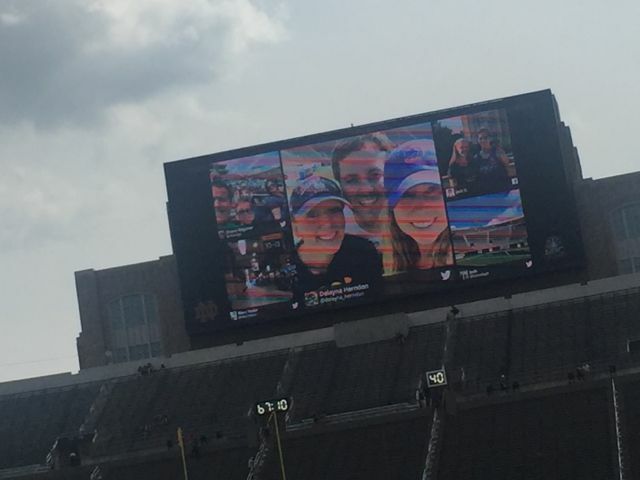 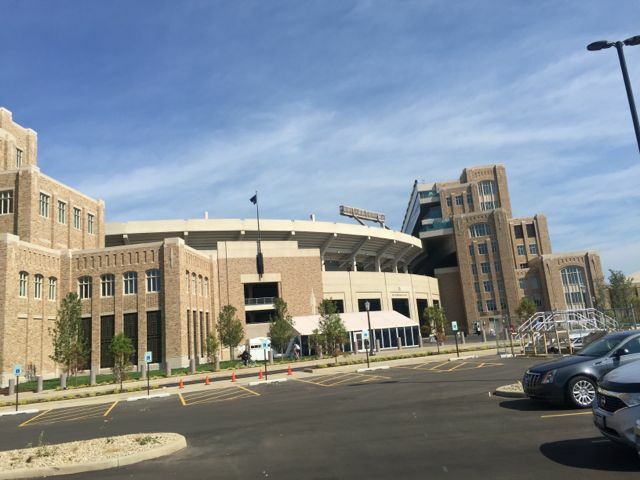 At this past Sunday’s “New and Gold” game, a sort of glorified scrimmage, the public (including Mobile Sports Report) got its first look at the University of Notre Dame’s Campus Crossroads project, a $400-million plus effort to bring premium seating, a large video board and high-density Wi-Fi to a venue that came to life in 1930, according to university history. While we will have a full report on our visit to Notre Dame Stadium in our upcoming Fall STADIUM TECH REPORT issue, we wanted to give you a “first look” at the new facilities, which basically include three new large buildings built into the sides of the existing structure, to provide support for the video board as well as two expanded premium-seating and press box areas on either side of the field. 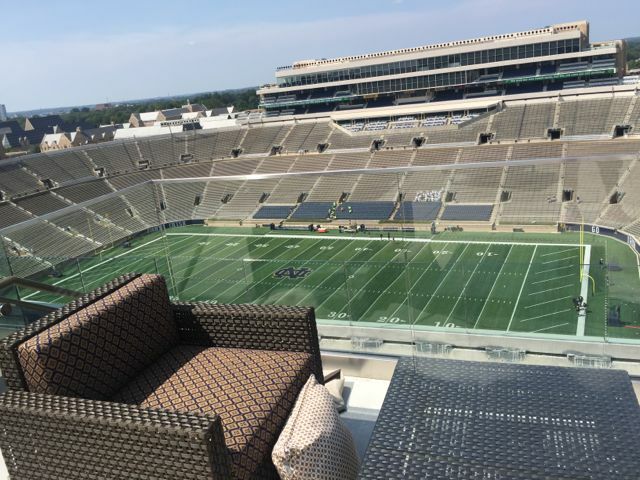 One of the coolest parts we saw were the new rooftop premium seating areas, where you can sit on a couch and see the full field while also peering out over the edge of the stadium to see Touchdown Jesus, the Golden Dome, and the rest of the world (well, OK, mostly South Bend, Indiana) while enjoying your favorite beverage and speedy Wi-Fi. 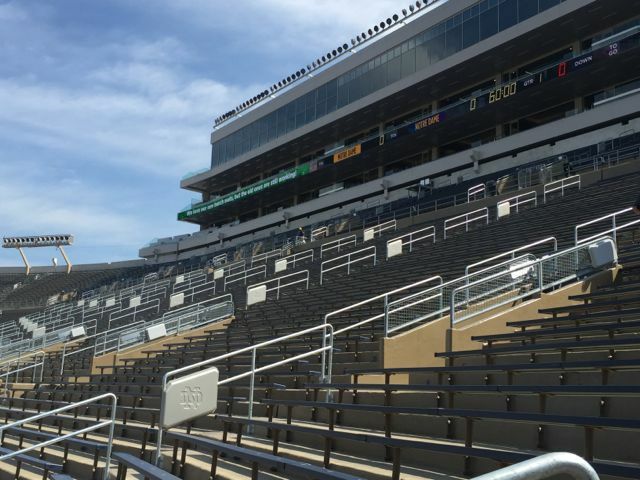 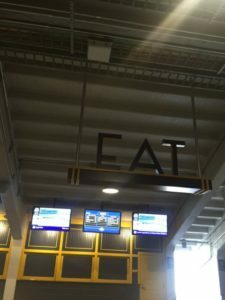 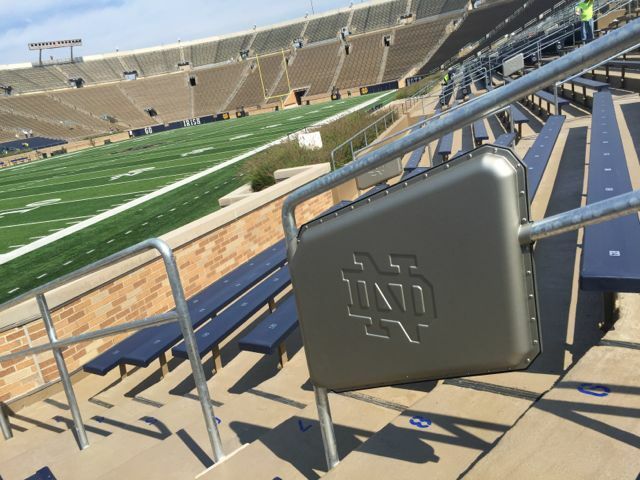 The new Wi-Fi network design using Cisco gear was led by AmpThink, and includes custom-designed enclosures for railing-mounted APs that feature a sharp version of the “ND” logo known to any football fan. 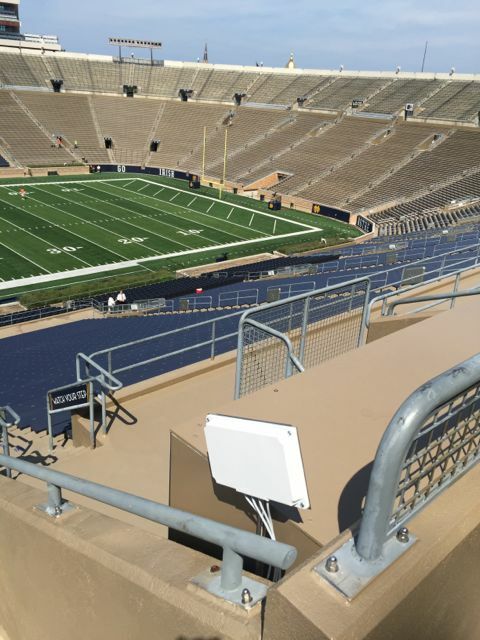 Though the network hasn’t yet been optimized or tested with a full house of fans, we were still getting solid up/down signals in the 60-70 Mbps range throughout the building, even in low and high bowl seating areas. 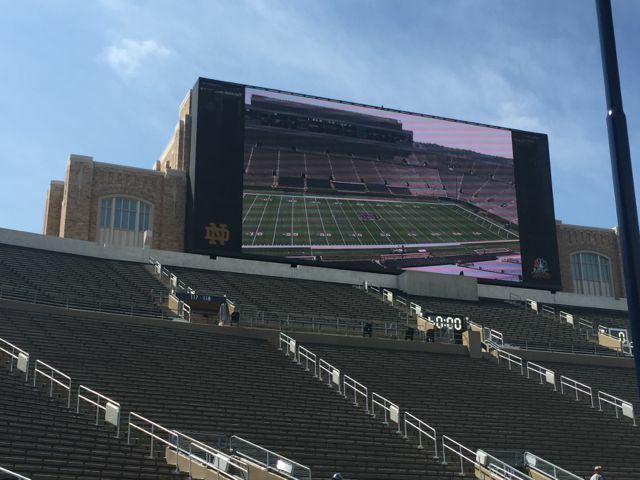 There is also a new neutral-host DAS in the stadium, built by Crown Castle. 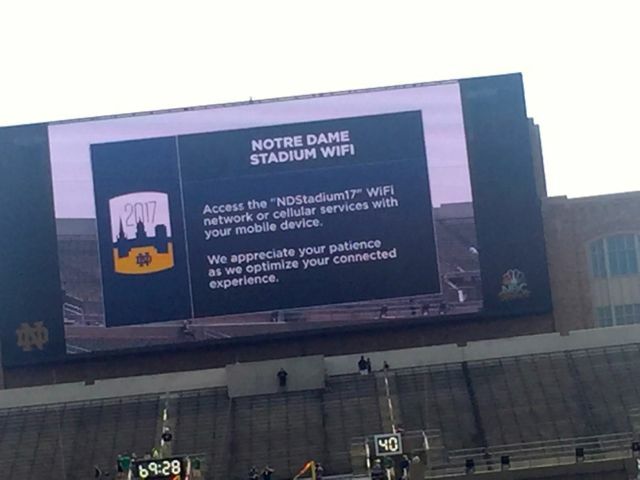 According to Notre Dame, Verizon Wireless and AT&T will be live on the cellular network by the start of the season, with T-Mobile to follow soon. 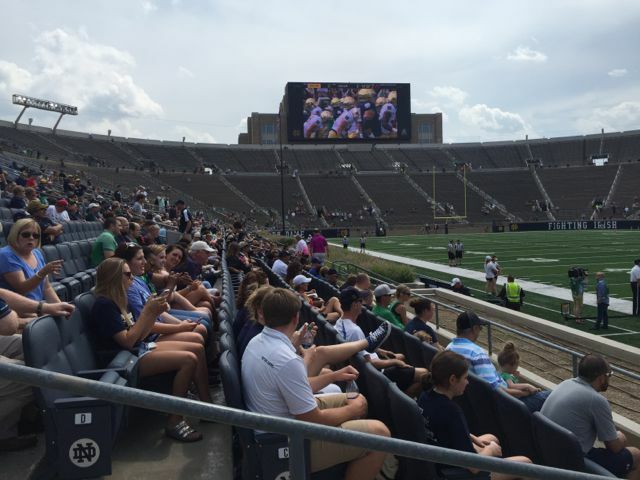 Like we said, look for more details in our upcoming report… but for now enjoy some scenes from Sunday’s game! 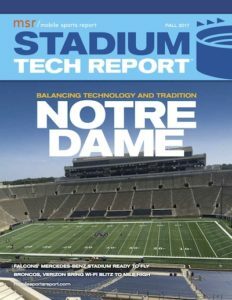 How do you get bandwidth to APs located below grade level? 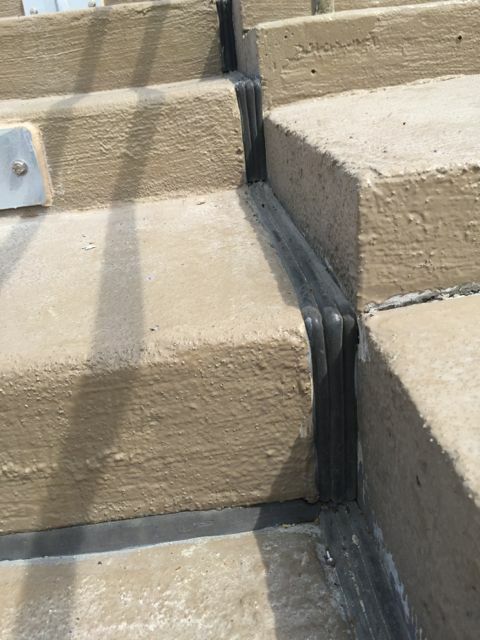 By being clever and using routing down the side of stairways… more details on this trick coming soon!